We are fully equipped to produce anything you may require in duplicate or triplicate. 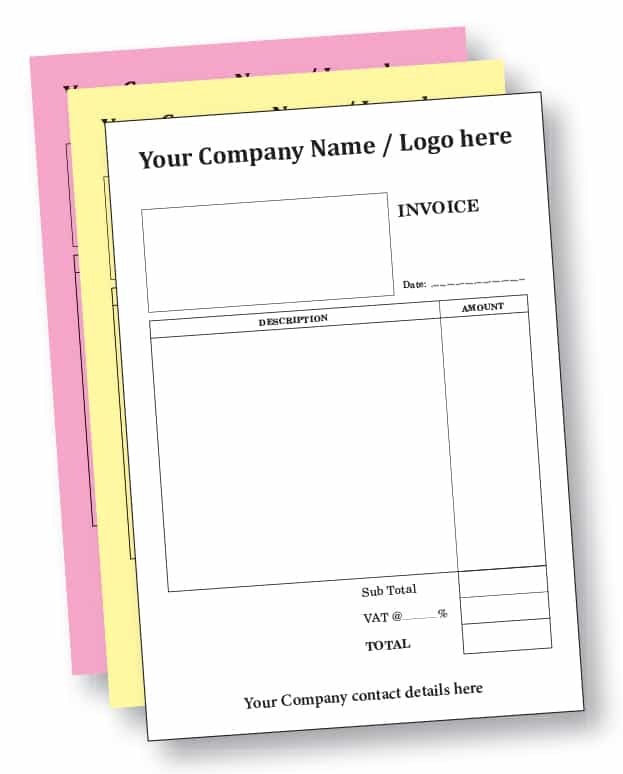 Whether it be delivery notes, invoices, purchase orders, vehicle checks, holiday forms, hire contracts…… you name it we can produce it, all in various sizes and in 2 part, 3 part, 4 part, perforated, numbered, made into books, pads, sets….. the options are endless. ‘Write it once, get multiple copies’! It will save you so much time and, as we produce everything in-house, it may be less-expensive than you think! You are now able to buy your standard A4 and A5, duplicate or triplicate sets, pads and books online from us at unbelievably low prices! We even have standard templates you can choose from for estimates, orders/invoices and delivery notes if you don’t have any artwork! Simply Choose NCR in ‘business essentials’ under online store from the drop down menu at the top of this page and select if you require A4 or A5 forms, then choose your options, get your price and place your order! If your exact requirements aren’t available to buy online please use one of our contact buttons or give us a call on 01264 334220 and we’ll be pleased to help! To find out more or to request a quote use one of our contact buttons or give us a call on 01264 334220.